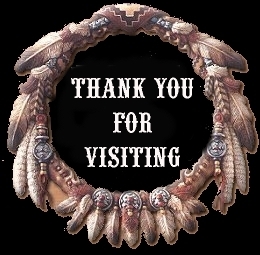 on them but they are definitely worth a look! 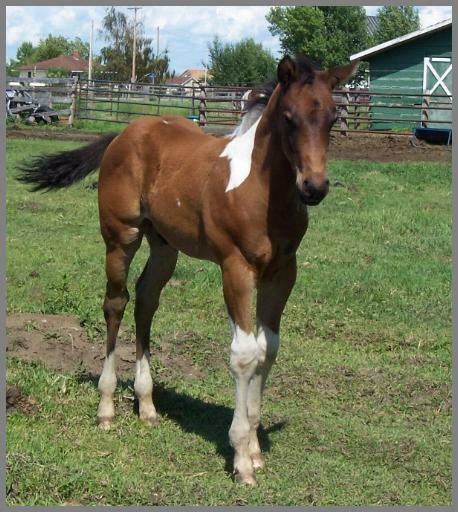 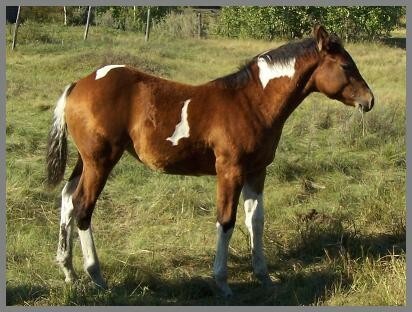 Lovin R Poco Royal aka "Cisco"
(APHA # 483, 477) - Solid Brown Stallion born June 2,1998. 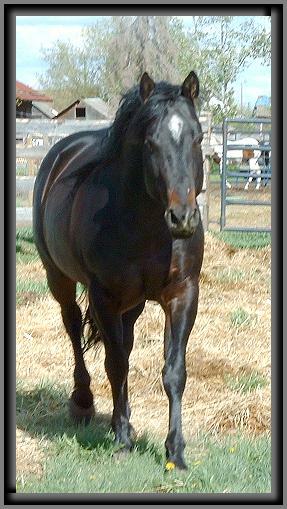 "Cisco" is an outstanding stallion. 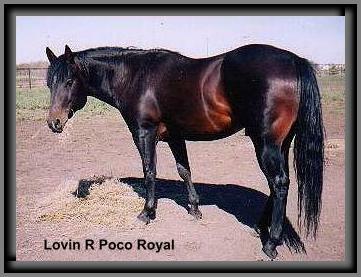 He is 25.51% Poco Bueno bloodlines with 5 crosses to Poco Bueno and 8 crosses to King. 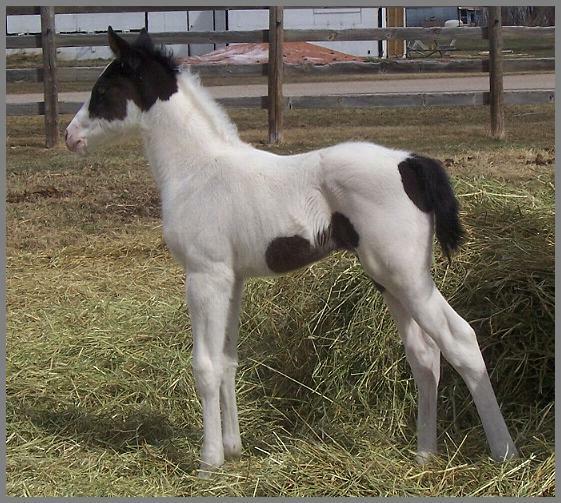 He has excellent bone, huge hip and a gorgeous head and he passes these fine qualities on to his foals. 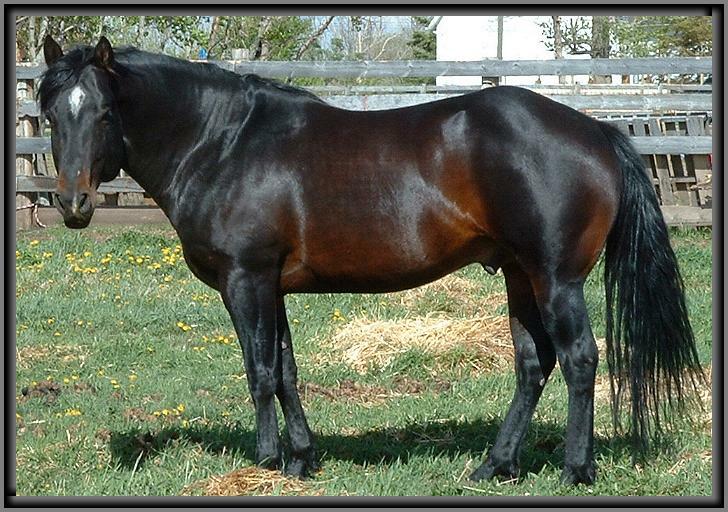 He is an awesome seal brown color. 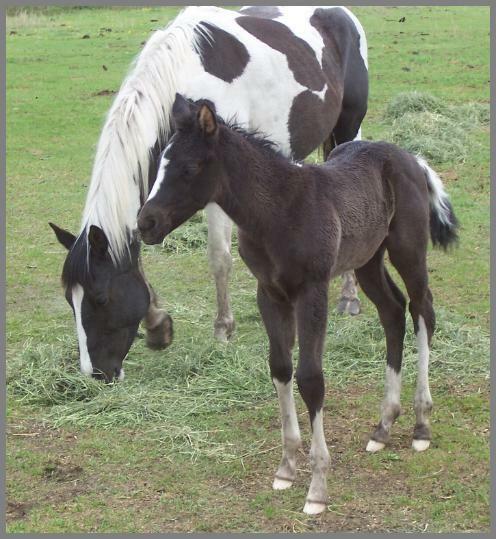 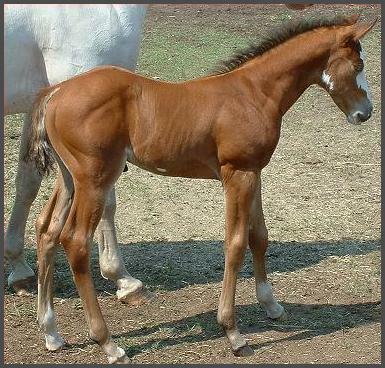 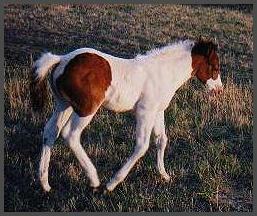 He has produced black, bay and brown foals only so far. 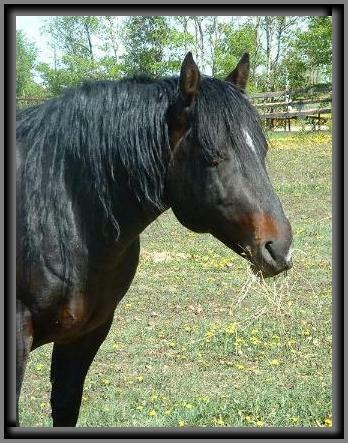 Cisco has a very good mind and is a perfect gentleman. 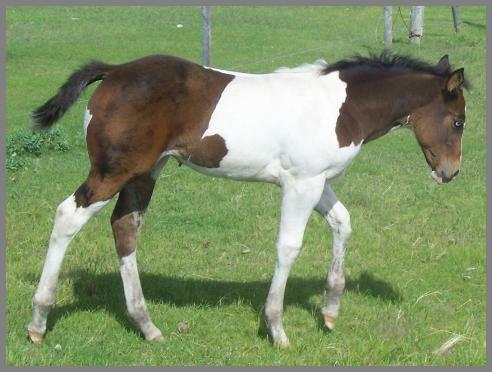 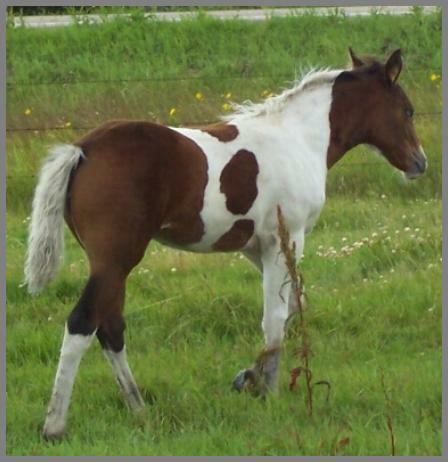 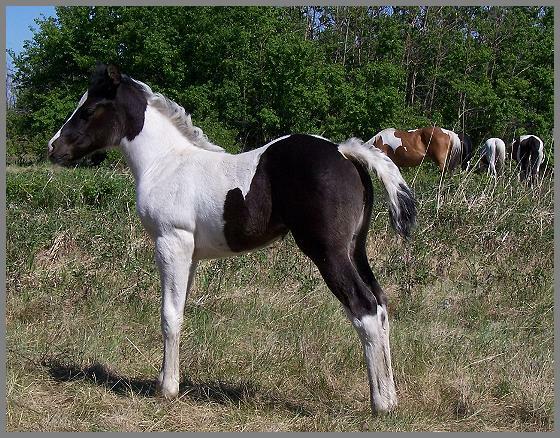 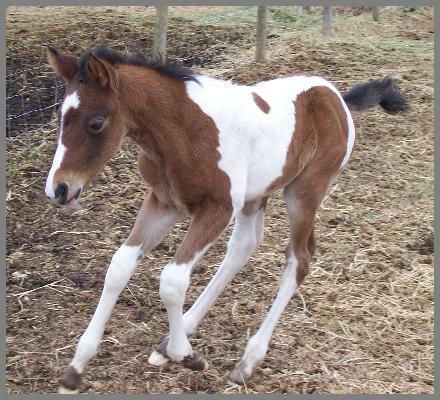 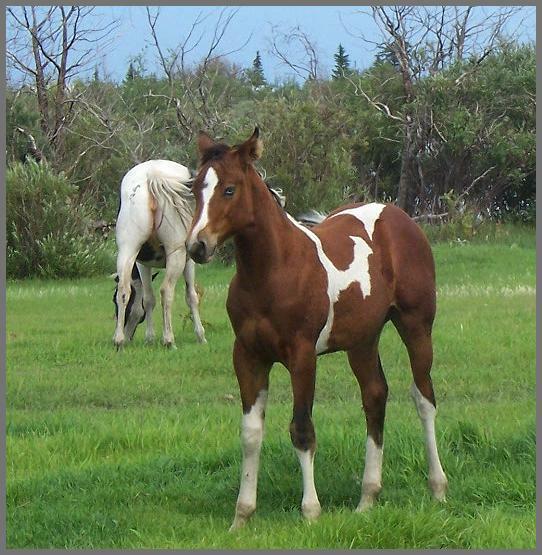 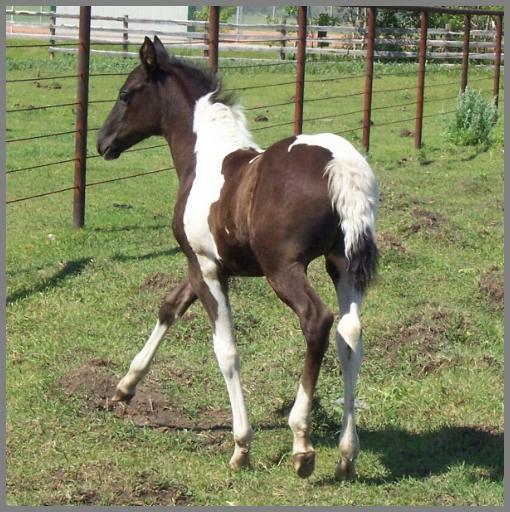 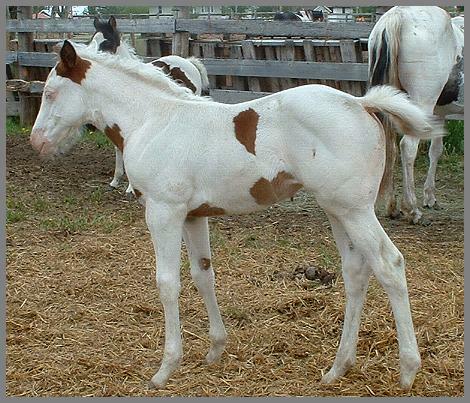 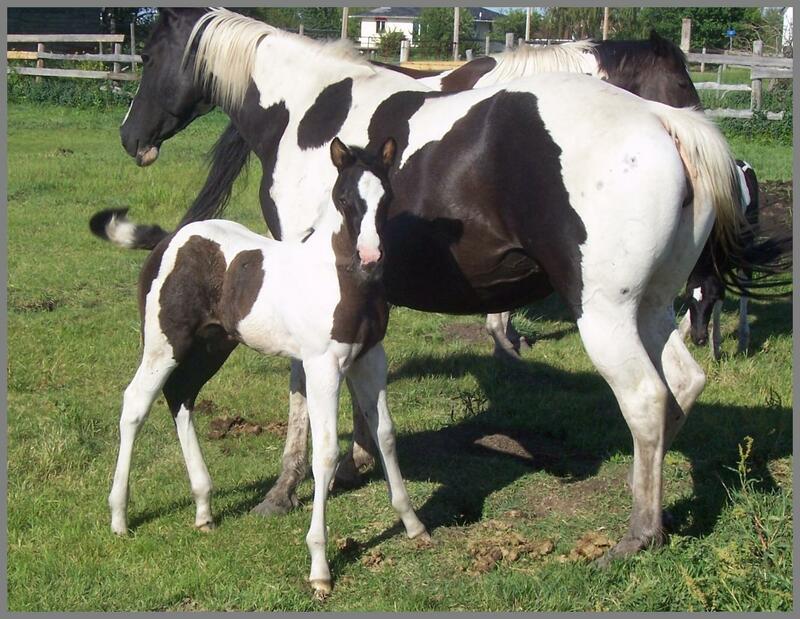 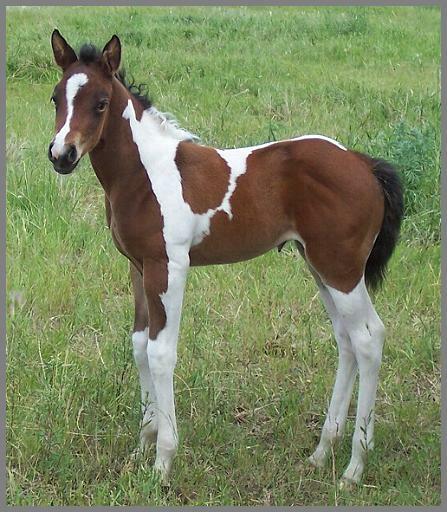 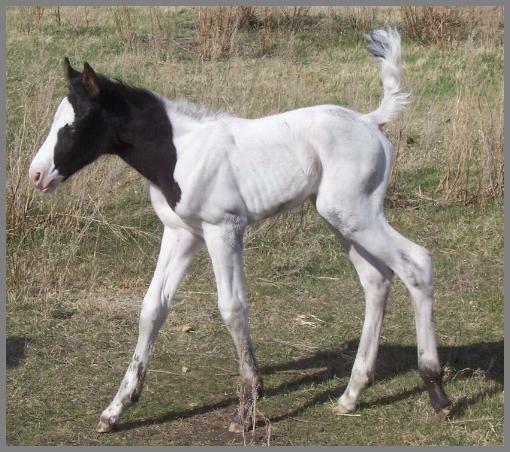 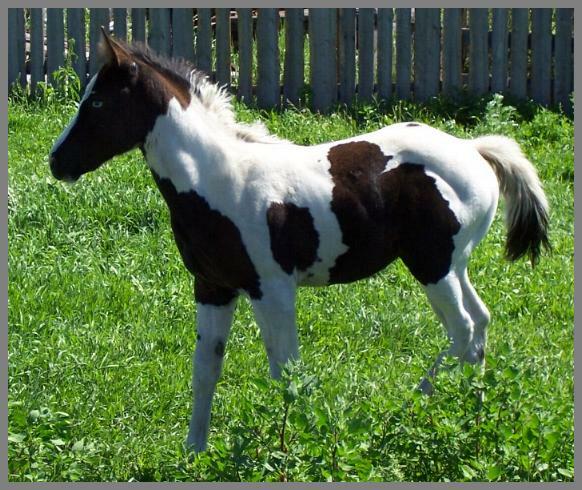 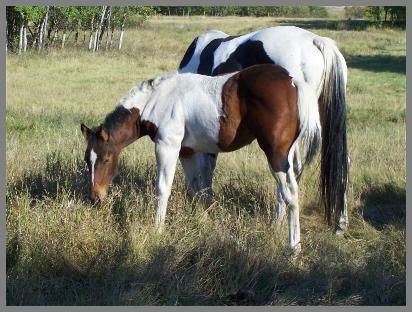 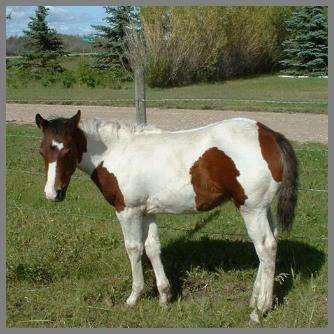 As a solid paint, Cisco cannot produce a colored foal - the paint gene must come from the mare. 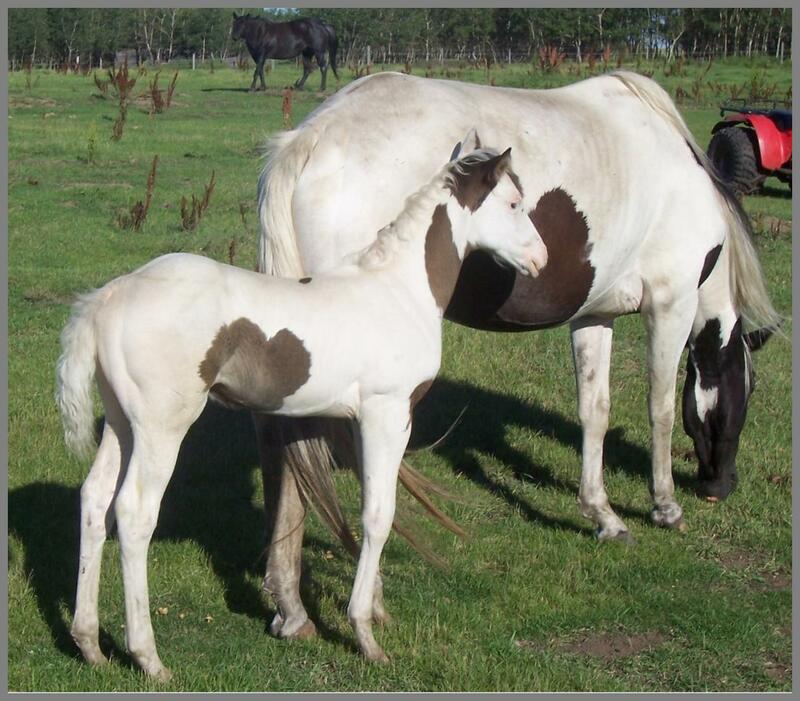 By breeding colored mares to Cisco, we have been successful in introducing the Poco Bueno and Doc Bar lines into our paint foals. 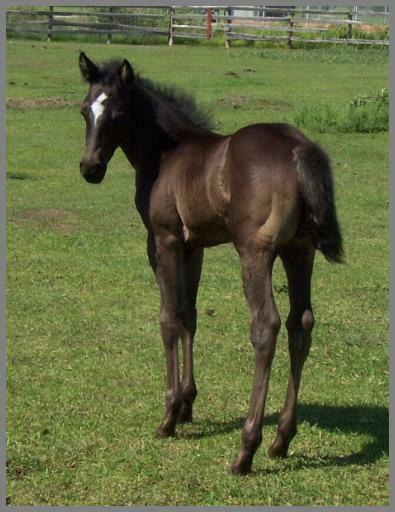 His easy-going disposition combined with good conformation and great bloodlines, make him a real asset to our breeding program. 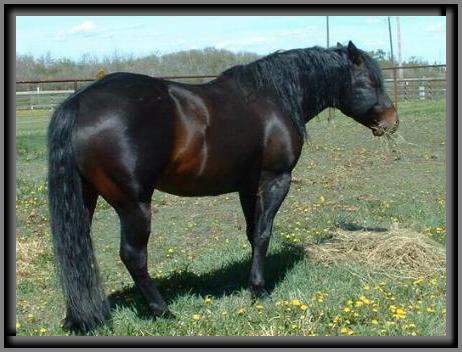 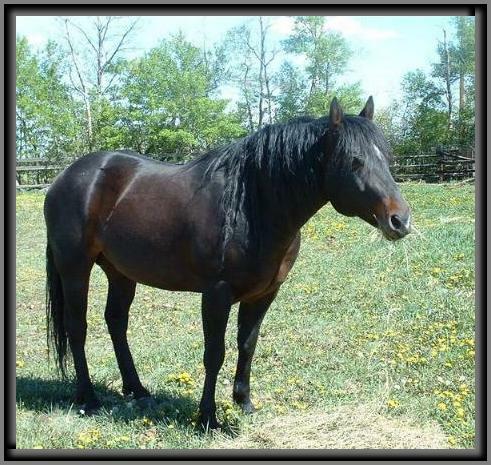 Cisco has been tested for the Herda gene and he is n/n. 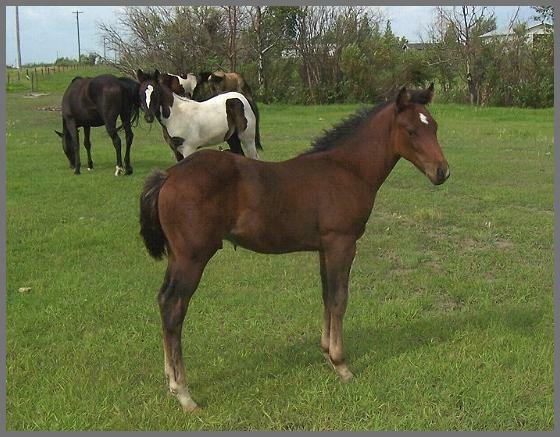 Both Poco Bueno and Doc Bar are on his papers! 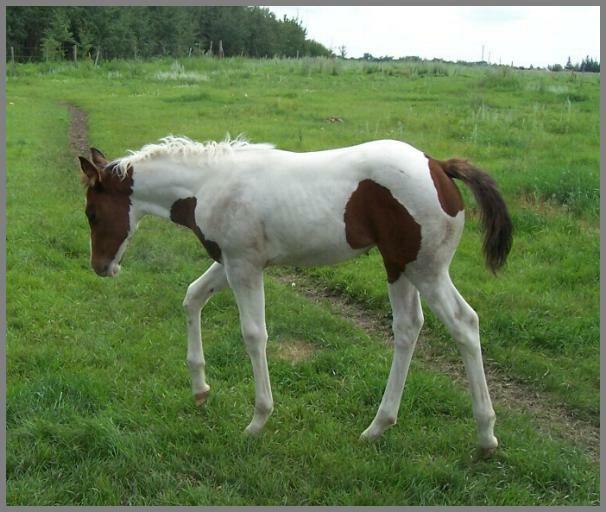 'Cisco' has been tested by Etalon Diagnostics and n/n on all inheritable disorders. 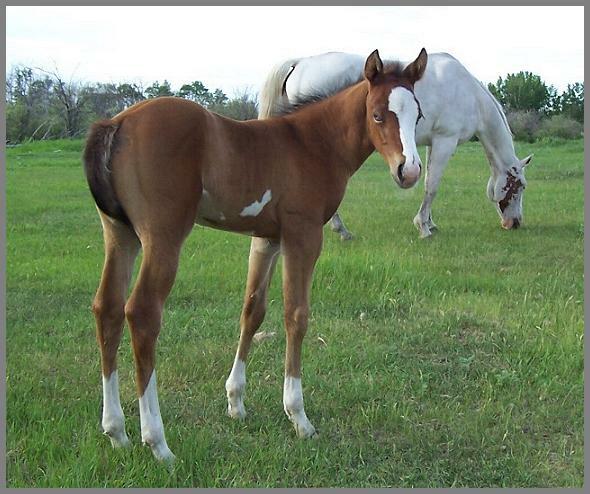 Sire: Doc Bueno Egger (AQHA Buckskin) is a grandson of both Doc Bar and Poco Bueno. 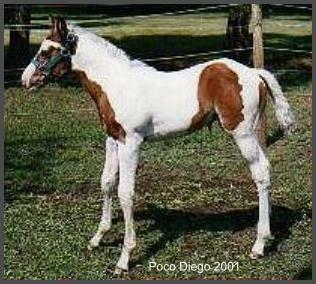 Cisco's dam is a granddaughter of Poco Bueno Tom (the only double-bred son of Poco Bueno) and Rosy Royal who goes back to Royal King. 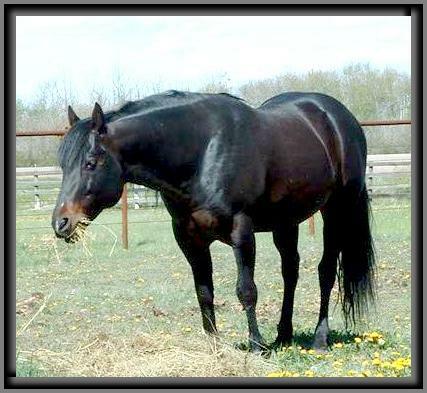 If you have the Quarter Horse Legends Book #1, you will see why we say one look and you will know Cisco is a 'royally-bred' horse. 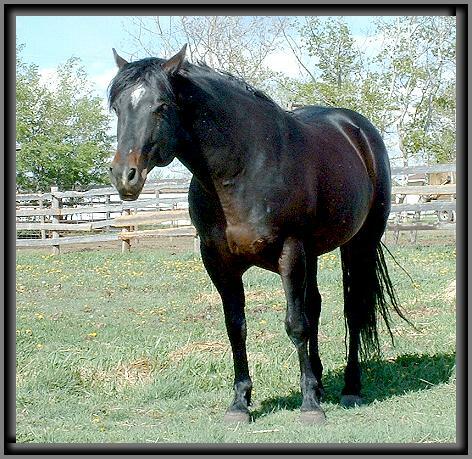 |Cisco is 20 years old now! 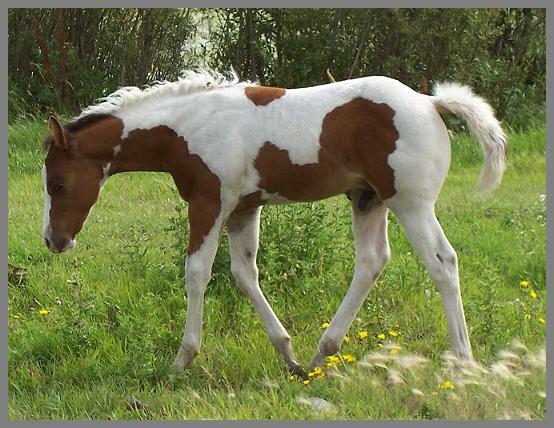 produced...good bone, huge hips and lots of color!